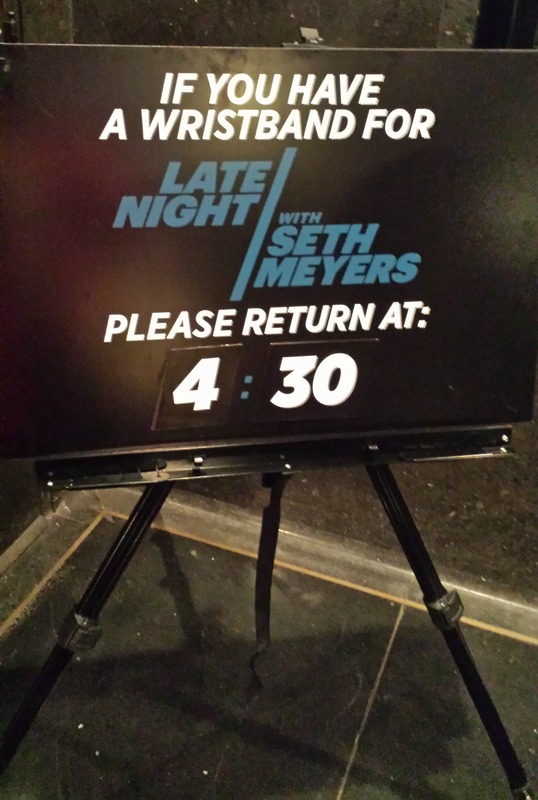 My friend Katie got tickets to a very first test show for Late Night with Seth Meyers and kindly took me as one of her guests. Lucky me! This entry was posted in Current Events, etc. and tagged Hoda Kotb, Kathie Lee, late night, Lutz, nbc, nyc, page program, Seth Meyers, test show, tv on February 21, 2014 by onechicklette. 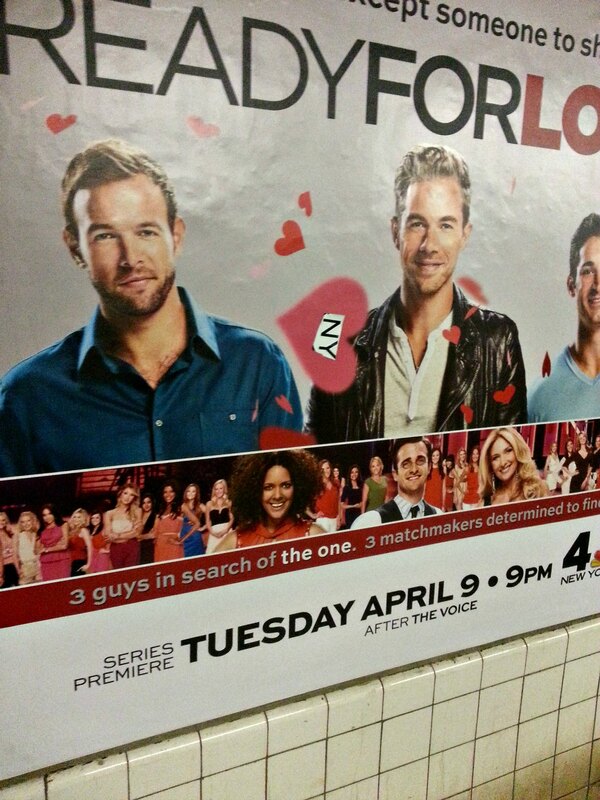 Will you be watching Ready For Love when it premieres Tuesday night? I plan to watch–even though it means being subjected to Giuliana Rancic’s blather. I’m hoping some of my Twitter friends who watch Bachelor and Bachelorette will do so too. These shows are more fun with company whether you watch for sincere I-love-love reasons or for snark. One of my college roommates works on Ready For Love, but alas, has not given me any juicy details. P.S. Is it just me or do two of the three guys look like brothers in the photo above? This entry was posted in Entertaining things, Guilty Pleasures and tagged Arguello, bachelor, bachelorette, ben, Bill, dating, Ernesto, Eva Longoria, Giuliana, Lopez, matchmaker, nbc, Patton, Rancic, Ready For Love, reality, Tim, tv on April 8, 2013 by onechicklette. My love for @candacearm grew [from big to enormous] when she reminded me of this 30 Rock segment starring Liz Lemon and her rebellion against the tyranny of Valentine’s Day. Me? I will be ignoring Valentine’s Day this year–I’ll be on a business trip. This entry was posted in Snark and tagged 30 rock, @candacearm, Anna Howard Shaw, feminist, nbc, suffrage, valentine's day on February 14, 2013 by onechicklette. Now that I live in NYC again, it’s time to get my act together. This entry was posted in NYC and tagged bon iver, nbc, New York City, nyc, saturday night live, SNL, to do list on February 15, 2012 by onechicklette. Richard Engel treks 120 feet underground into Malian gold mine. I’m not bogged down in fears. If I had to jump off a cliff, I would do so. If my survival depended on eating a three inch long roach, I’d find a way to choke that thing down. But imagining being in a cramped, dark space underground does something awful to my ability to breathe. Could you go into the mine if you had to? What’s your biggest fear? This entry was posted in Current Events and tagged brian williams, claustrophobia, current events, gold mine, nbc, news, richard engel, rock center on December 6, 2011 by onechicklette.